Are you having issues with your Seat Automatic Transmission Unit? Did you know that the automatic transmission fitted to Seat’s is known to become faulty? Whether it’s an automatic or semi-automatic, mechatronic or S-Tronic, a DSG (Direct Shift Gearbox) or a CVT (Continuously Variable Transmission), they are all known to have this issue. Sometimes these faults can be repaired by a simple software update or a gearbox oil change, but unfortunately, this is not always possible and generally it is due to the fault in the Transmission Control Module (TCM) or more commonly known as the Gearbox ECU. 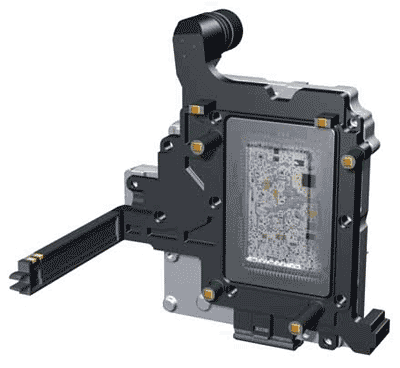 If you have researched the costs of replacing your DSG Gearbox ECU when it becomes faulty, you will probably be aware that quotes from local dealers are in the excess of £1000 + VAT, which would then also require programming at an extra cost. A standard 12 Month Warranty will also come with your new replacement part or you will have the option to replace the DSG / CVT Transmission ECU with a second-hand used part with a 30-90 day limited warranty. Again this will require programming/coding at an additional cost. As you may expect, there are too many part numbers for the entire SEAT makes and models to list here; therefore we have compiled a broad list of the most common units that we have either exchanged or repaired for customers in the past. If you cannot see your part number on the extensive list below, then call us on 0844 847 9999 as we will still be able to test and repair your unit. My Seat Has a DSG TCM Module Fault – Can SINSPEED Help Me? We are proud to advise that here at Sinspeed, we are able to fully bench test all transmission controllers with our latest Automatic Transmission Controller Testing equipment. Not only this, but we also hold all major components in stock to carry out immediate repairs, and include programming/coding the unit within our cost before returning this to you, making it fully Plug + Play! All you need to do is post you part to us, we will diagnose the issue and either repair or replace it – then it will be sent back to you fully functional without the additional costs of expensive dealer/coding programming required. On top of that, we also offer LIFETIME Warranty on all of our DSG / CVT Gearbox ECU’s! So if your Seat is suffering with DSG problems, give us a call today on 0844 847 9999 and find out how we can help you! 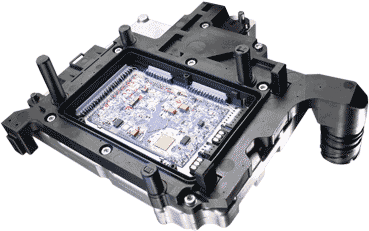 Did you know that your DSG Gearbox ECU can also be remapped? As well as providing a full Transmission ECM Repair + Replacement service, we offer a remapping service where by fine-tuning the mapping of the DSG Controller, we can optimise its performance to provide a more enhanced driving experience. Benefits include Smoother Gear Change with Zero Hesitation as well as a 20% increase in Gear Shift Speeds with Zero Lag! It will be applied to your unit at the same time as the repair; therefore will still be fully Plug + Play. You can find more information regarding our DSG Remapping Services here. If you feel that you may have a faulty TCM Unit and are looking for a diagnosis or require your DSG Gearbox ECU to be repaired or replaced, give us a call today on 0844 847 9999. Tags : 00107455A2, 00270659, 01J910156HT, 01J927155JG, 01J927156AE, 01J927156AH, 01J927156BG, 01J927156C45R, 01J927156CB, 01J927156CE, 01J927156CF, 01J927156CG, 01J927156CH, 01J927156CJ, 01J927156CL, 01J927156CM, 01J927156CN, 01J927156CQ, 01J927156CR, 01J927156CS, 01J927156CT, 01J927156DB, 01J927156DE, 01J927156DR, 01J927156DS, 01J927156E, 01J927156EC, 01J927156ET, 01J927156FA, 01J927156FD, 01J927156FH, 01J927156FK, 01J927156GN, 01J927156HF, 01J927156HH, 01J927156HN, 01J927156HT, 01J927156JE, 01J927156JF, 01J927156JG, 01J927156JH, 01J927156JJ, 01J927156JK, 01J927156K, 02E300041N, 02E300041R, 02E300042Q, 02E300046D, 02E300046F, 02E300046K, 02E300146D, 02E300146F, 02E325025AD, 02E325025ADZ01, 02E325025ADZ02, 02E325025ADZ03, 02E325025ADZ04, 02E325025ADZ05, 02E325025ADZ06, 02E325025ADZ07, 02E325025ADZ08, 02E325025ADZ09, 02E325025ADZ0A, 02E325025ADZ0B, 02E325025ADZ0C, 02E325025ADZ0D, 02E927770AD, 02E927770AE, 02E927770AJ, 02E927770E, 02E927770F, 02E927770G, 02E927770L, 02E927770M, 02E927777D, 02E927777OE, 02E927777OF, 02E927777OL, 02E927777OM, 02E92777OAD, 02W927770M, 4B0910155, 4B0910155B, 4B0910155C, 4B0910155D, 4B0910155F, 4B0910155G, 4B0910155K, 4B0910155L, 4B0910155M, 4B0910155N, 4B0910155P, 4B0910155Q, 4B0910155S, 4B0910155T, 4B0910156B, 4B0910156F, 4B0910156G, 4B0910156H, 4B0910156J, 4B0910156L, 4B0910156M, 4B0910156N, 4B1910155A, 4B1910155B, 4B1910155D, 4B1910155E, 4B1910155F, 4B1910155G, 4B1910155J, 4B1910155K, 4B1910155L, 4B1910155N, 4B1910155Q, 4B1910156D, 4B1910156E, 4B1910156F, 4E0910156P, 4F0910155M, 4F0910157J, 4F0910157K, 4F1910155B, 4F1910155D, 4F1910155E, 4F1910155F, 4F1910155H, 4F1910155P, 4F2910155D, 4F2910155G, 4F2910155H, 4F2910155N, 4F2910155R, 4F2910155S, 4F5910155Q, 4F5910155R, 4F5910155S, 4F5910157D, 4F5910157F, 4F5910157H, 4F9910155B, 4F9910155D, 8E0910155, 8E0910155A, 8E0910155B, 8E0910155C, 8E0910155E, 8E0910155F, 8E0910155G, 8E0910155H, 8E0910155J, 8E0910155K, 8E0910155M, 8E0910155N, 8E0910155P, 8E0910155Q, 8E0910155R, 8E0910155S, 8E0910155T, 8E0910156H, 8E0910156K, 8E0910156L, 8E0910156P, 8E0910156Q, 8E0910157H, 8E0910157J, 8E0910157L, 8E0910159, 8E0910159A, 8E0910159B, 8E0910159C, 8E0910159F, 8E1910155B, 8E1910155F, 8E1910155L, 8E1910155M, 8E1910155N, 8E1910155P, 8E1910155S, 8E1910155T, 8E2910155A, 8E2910155B, 8E2910155C, 8E2910155D, 8E2910155E, 8E2910155F, 8E2910155G, 8E2910155H, 8E2910155K, 8E2910155L, 8E2910155P, 8E2910155Q, 8E2910156B, 8E2910156Q, 8E3910155E, 8E3910155F, 8E3910155G, 8E3910155H, 8E3910155J, 8E3910155Q, 8E3910155R, 8E3910155T, 8E4910155A, 8E4910155B, 8E5910155, 8E5910155J, DSG ECU Issues, DSG ECU Repairs, DSG Gearbox Repairs, E040A004161JBLR12, Multitronic Gearbox ECU Problems, P81GF30001073102UF, S-Tronic Gearbox Faults, Seat DSG ECU Issues, Seat DSG ECU Repairs, Seat DSG Gearbox Repairs, Seat Multitronic Gearbox ECU Problems, Seat S-Tronic Gearbox Faults. We do a lot of work for customers across the world and many of our customers are situated in the United States of America so that is not an issue for us. I have sent you an email just now with full pricing and information to remanufacture your unit with a Lifetime warranty. I have just sent over an email now with pricing and further information regarding a TCM Module for your Seat Leon. Hi I am facing the problem where the car is not going into gear it’s 2011 seat leon am not able to figure the part number or where to find it. It’s a fairly common issue on this vehicle and one we’ve been able to test for and repair. We’ve sent an email with some pricing and information but I’m afraid I cannot confirm the part number of your unit as they can vary. Your mechanic can confirm this on removing your unit but also if he has VCDS (VAG-COM) it will appear on the diagnostic system. 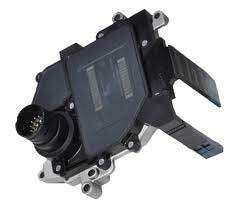 I have problem with seat Toledo 2013 and mechanic says that is the module, do you know where I can buy it or if there is a remanufactured part?.